Not a Post Office Transmitter No 2' - the Vocabulary of Engineering Stores' indicates that is the transmitter used on early local battery pillar (candlestick) and wooden wallphones. 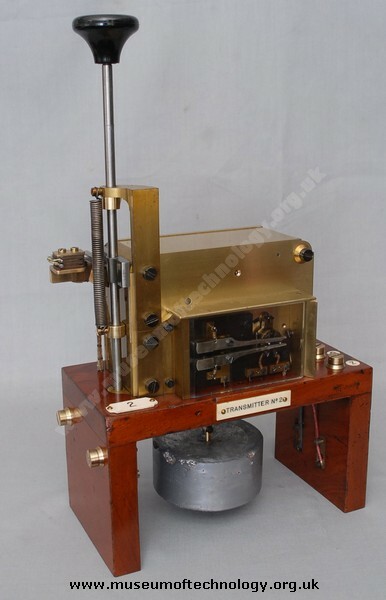 Two of these senders were auctioned of at the BT Museum Auction in 2002 as Lot 355. I have a photo of them. One subsequently appeared on the Antiques Road Show on BBC TV with the owner claiming " it was the only one to exist ".